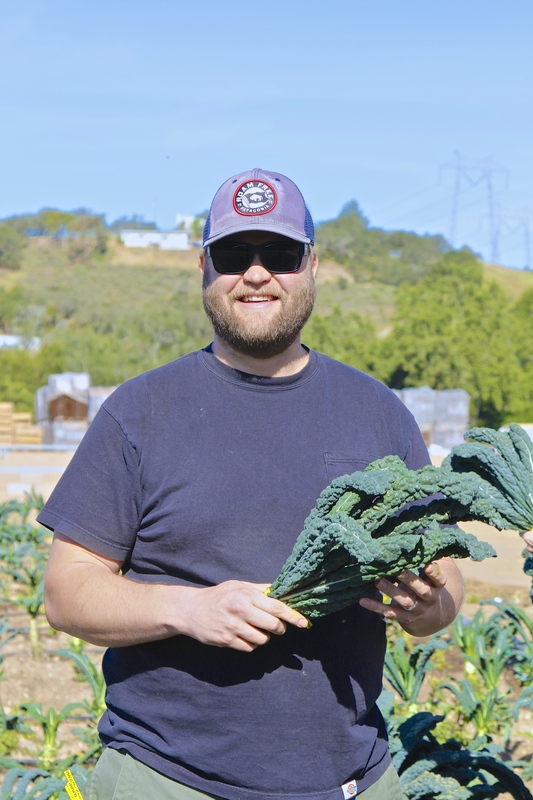 Living on the Central Coast, Chef Dave Schmit enjoys being surrounded by fields and farms and getting to know farmers who grow all kinds of varieties of fresh produce. Dave, originally from Minnesota, and trained at Le Cordon Bleu in Minneapolis, has over 15 years of experience cooking at some of the finest restaurants including the Brentwood Country Club, Hotel Bel Air and The Beverly Hills Hotel. He has cooked for celebrities including Oprah, Robert Redford, Nancy Reagan and Michael Jackson among many others. Dave and his wife Dana visited the Central Coast from Los Angeles numerous times on vacations, and jumped at the chance to move here in 2012 with Dana’s job at Rosetta. In 2012 he decided to take a different turn in his work and applied for a part-time position as chef for the Maxine Lewis Homeless Shelter through CAPSLO (The Community Action Partnership of San Luis Obispo County), cooking dinners for 100. 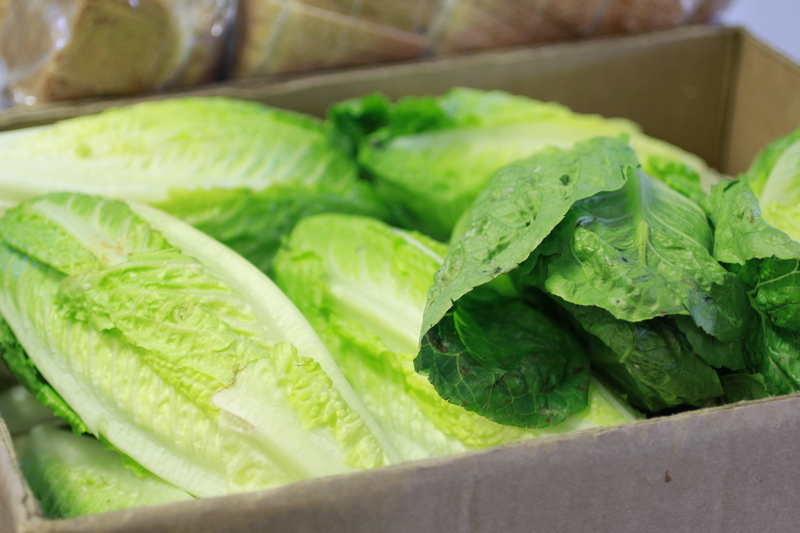 To prep for the meals, Dave shops weekly at the Food Bank’s Oceano warehouse, selecting fresh ingredients, some of it donated and rescued by GleanSLO, all the while thinking of the nutritional needs of the clients. 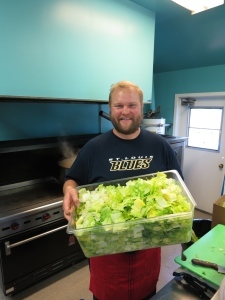 In his role as shelter cook, he commonly uses a “flash/scratch” method which combines whole foods and large amounts of fresh produce with already prepared foods. 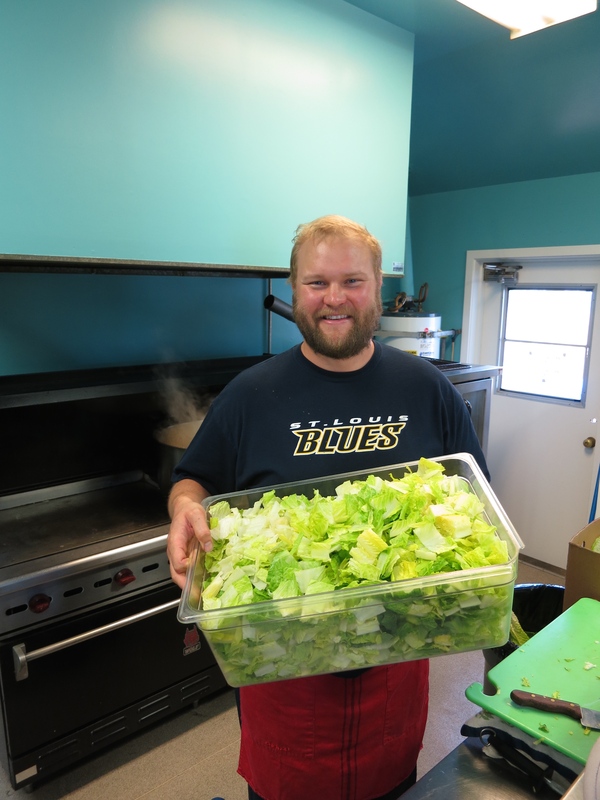 Dave makes a variety of meals, both vegetarian and with meat, always trying to maximize the use of rescued and donated produce. During one of the interviews at the commercial kitchen where he works, I talked with Dave as he washed, prepped, chopped and stirred up a pot of lentil soup in a 64-quart pot with the same effort as someone making a meal for a family of four. Anyone who sees him in action and listens to him talk quickly grasps how talented he is, and how lucky we are to have him in our county. Dave shared that he wishes people would see the complexity of living here with the abundance of food grown in our rich agricultural area and the importance of taking care of and feeding people in need. He would like to see more effort placed on better nutrition for the needy and awareness that more nutrient-dense food could help reduce health problems among them. He predicts that as resources diminish, there could be increasing demand for services and the importance of considering the needs of all people in our community. 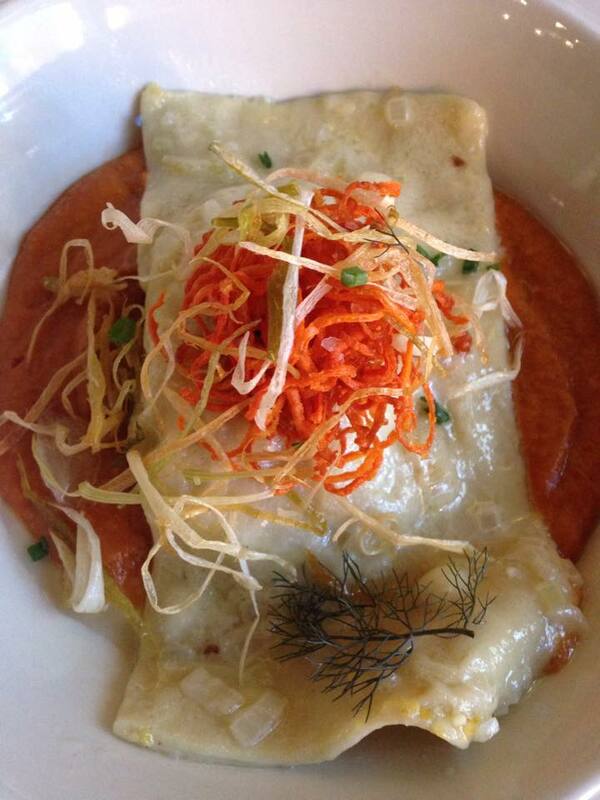 Along with his part-time job for CAPSLO, Chef Dave caters private events, weddings, and special functions. He will be a featured Chef in the Wine, Waves & Beyond Winemaker’s Dinner on May 2 to benefit GleanSLO. He can be reached at dave.schmit@gmail.com. This entry was posted in Uncategorized on 04/16/2015 by gleanslo.